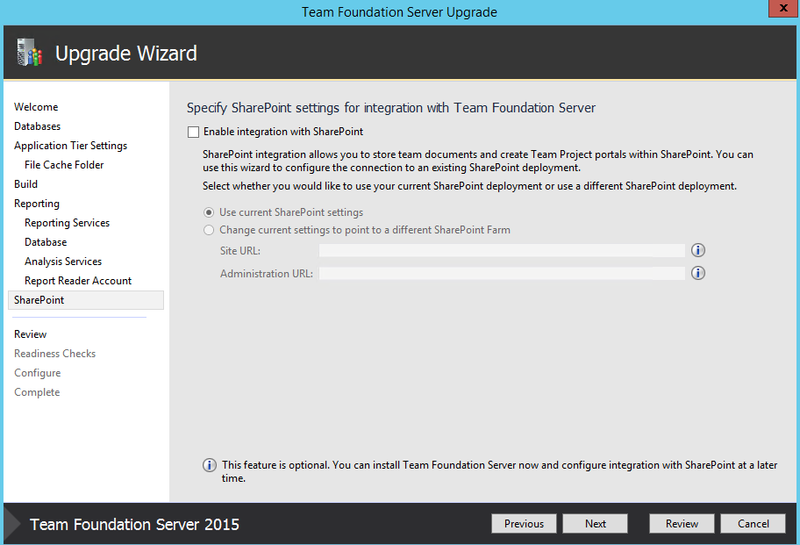 When upgrading TFS, the existing Team Projects won’t automatically adopt the new features of the new TFS version. 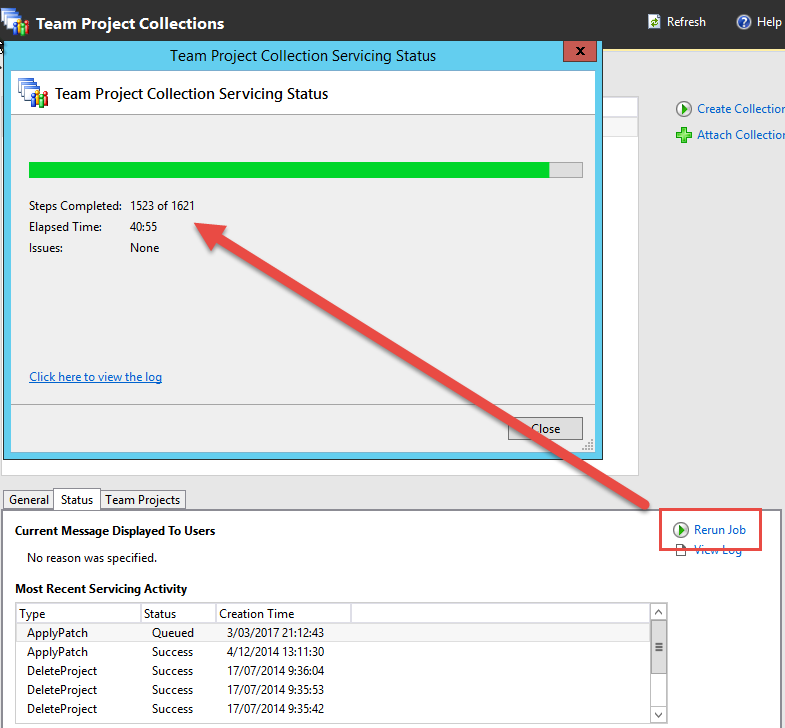 Some of the new features might require some updates to the Team Project. 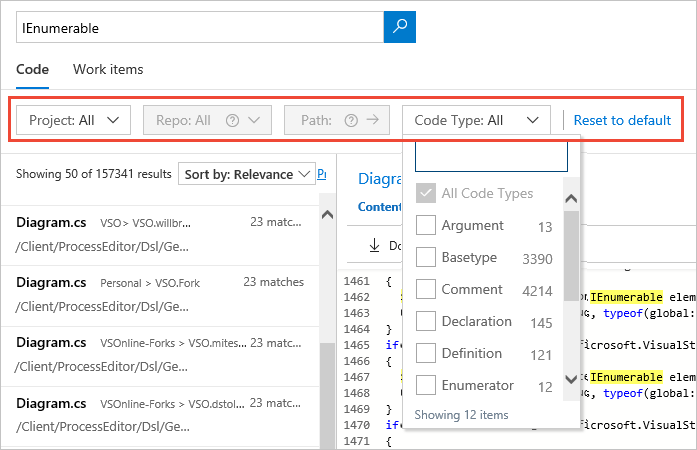 Note that this will only be required for TFS Team Projects … VSTS Team Projects are automatically updated with each service upgrade. 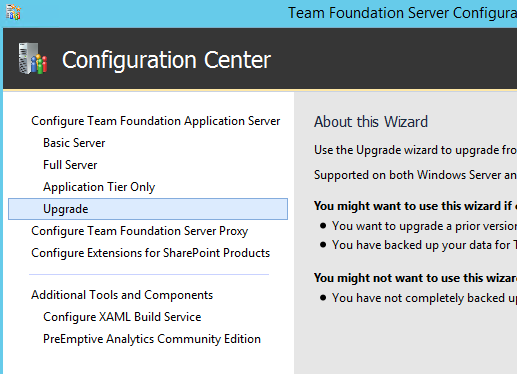 You can perform this update yourself via the Configure Features wizard. 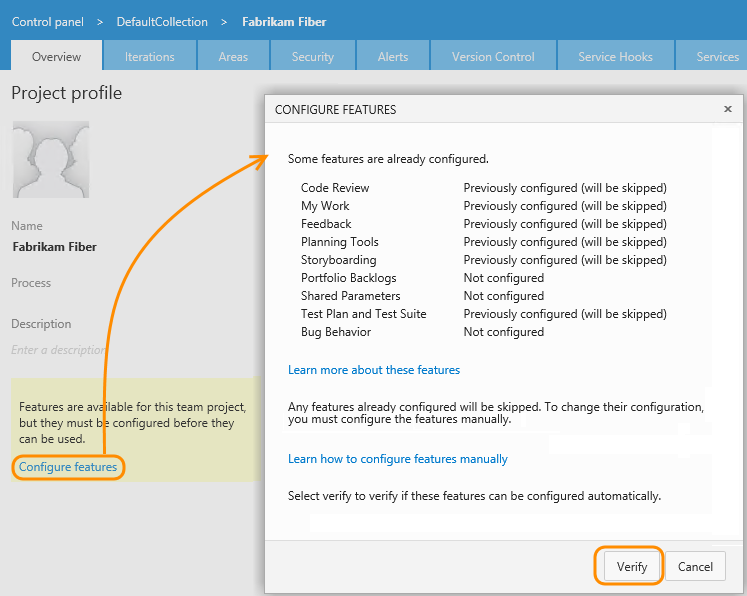 If the Configure Features link is visible for your Team Project, it means that the Team Project requires an update. Otherwise, the new features are already enabled. I remember having done this already programmatically in the past (https://www.visualstudio.com/en-us/docs/work/customize/configure-features-after-upgrade#program-updates), but the issue now was that there wasn’t a ready-to-use solution for TFS 2017 Update 1. 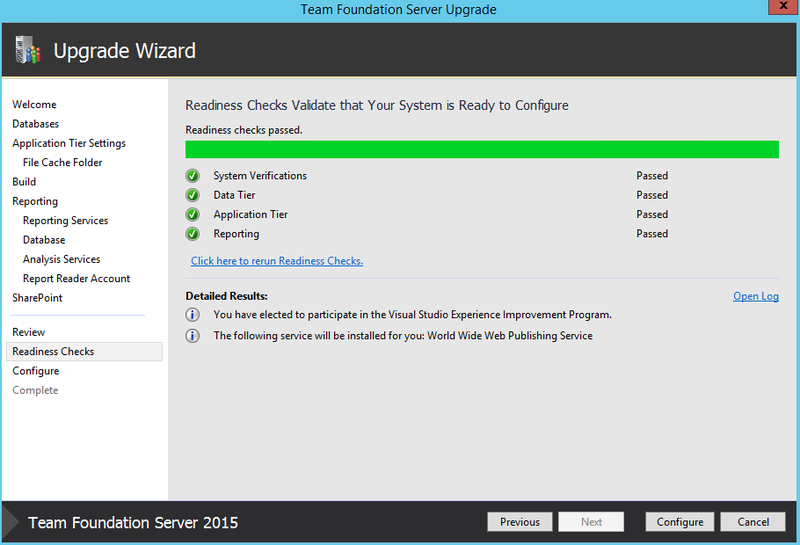 So, I used some tips & tricks from https://www.visualstudio.com/en-us/docs/work/customize/configure-features-after-upgrade#program-updates and also the Features4tfs CodePlex solution was a good starting point. 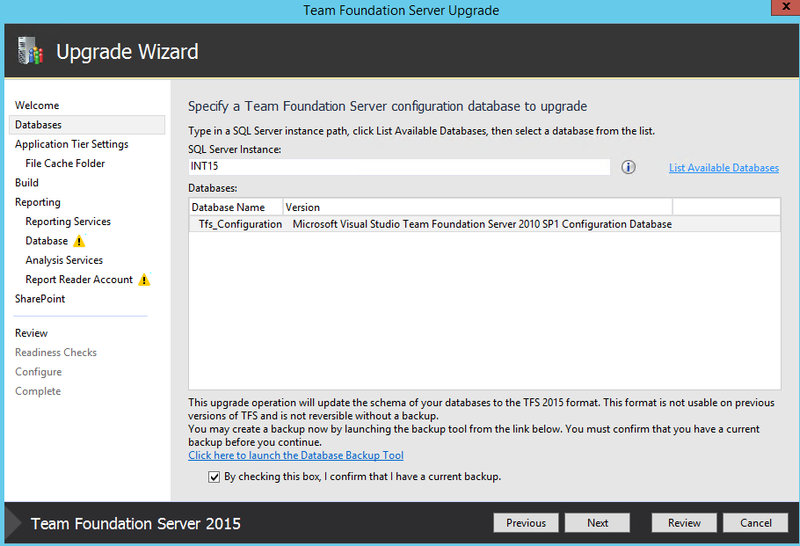 I wanted to have a scenario where it’s possible to scan a complete TFS 2017 environment with all on-line Team Project Collections and all available Team Projects. As a result, you can find my solution in Github: https://github.com/pietergheysens/TFSUpgradeTeamProjectFeatures. 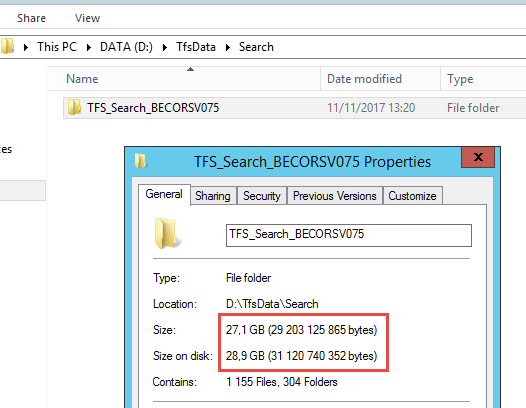 Because it worked for me with TFS 2017 (Update 1), it doesn’t mean it will work for you. 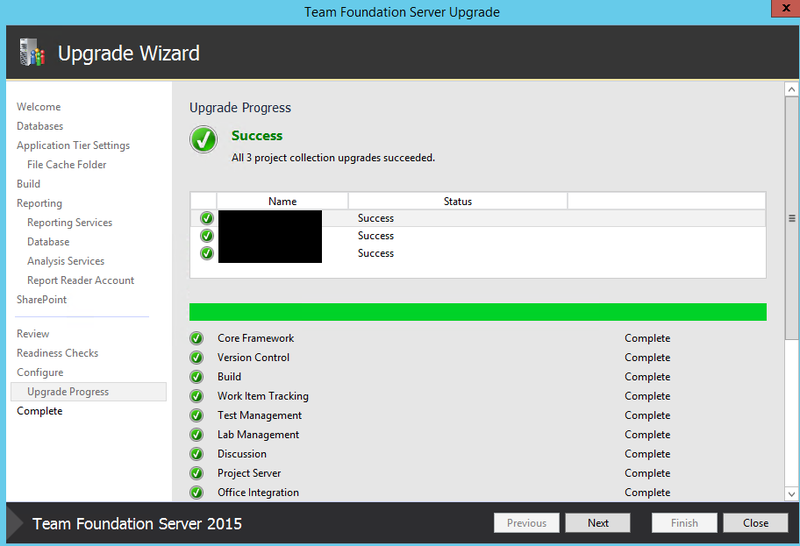 Please test it first during a trial-upgrade and see if it helps you to upgrade your Team Projects in one go. 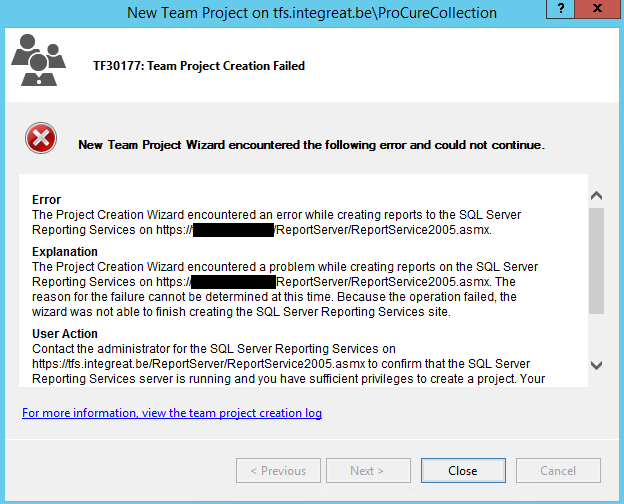 Yesterday, I blogged about the migration activities to get to TFS 2015 RC2, but I was still stuck at an error during new Team Project creation. 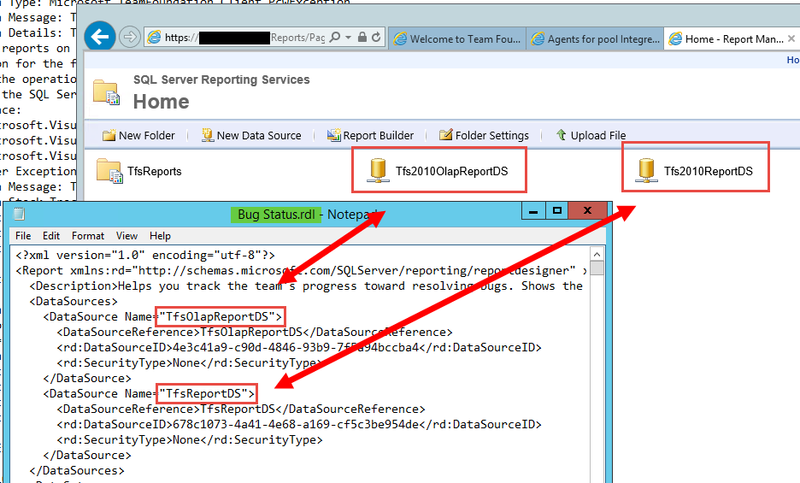 Looking into the logs it looked like there was some kind of issue during the upload of the first Reporting Services report “Bug Status” (part of the latest TFS 2015 Agile process template). First I thought there was something wrong with permissions on the Reporting Services site because I also applied a certificate to offer accessibility via https, but that wasn’t it. All seemed to be setup correctly. 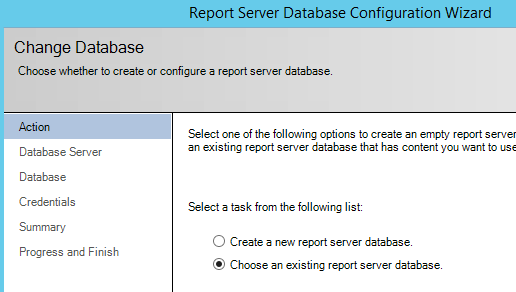 A sign to look further into the details of the Bug Status .rdl report definition and why it couldn’t be correctly uploaded to the Reporting Services site. After downloading the process template from the Team Project Collection and opening the report with notepad, I knew I was getting closer to the root cause. 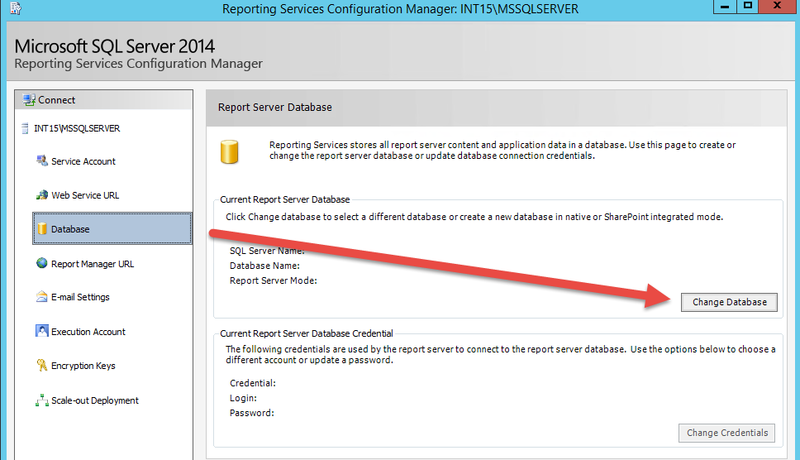 As shown in the picture above, the (default TFS 2015) Data Source mentioned in the report definition did not exist in the Report Server database after the migration from TFS 2010 SP1. In the TFS 2010 timeframe, all report defintions were linked to a “2010” Data Source. 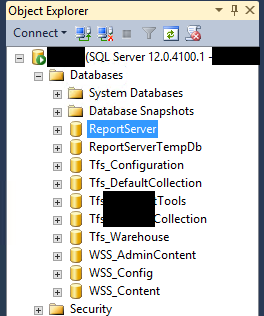 Instead of renaming the existing Data Sources (that would break the existing reports, created from a TFS 2010 Team Project), I duplicated the entries to provide extra Data Sources with the expected names for usage with TFS 2015. Issues resolved. Back on track! Today I got the opportunity to upgrade a customer from TFS 2010 SP1 to TFS 2015. 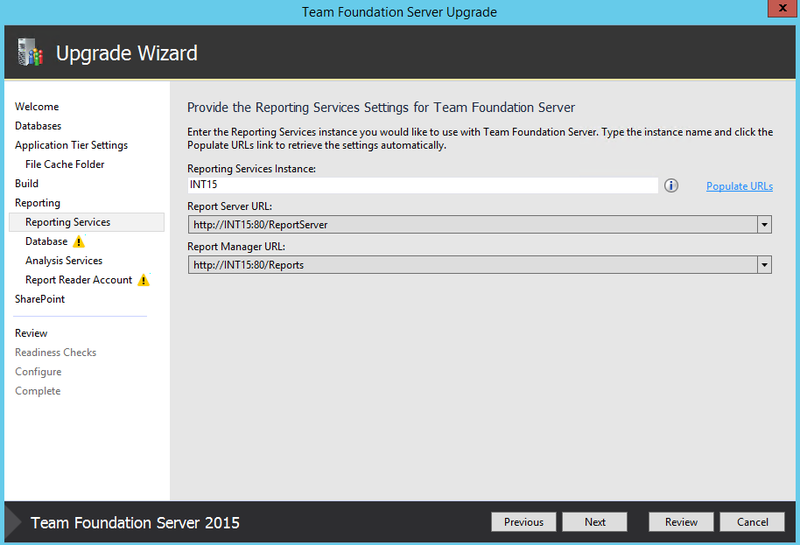 As blogged by Brian Harry a few days ago, the RTM release of TFS 2015 (not Visual Studio 2015!) is delayed (for a good reason!) and in order to further test the overall migration/upgrade process a new RC2 release has been made available (with go-live license). 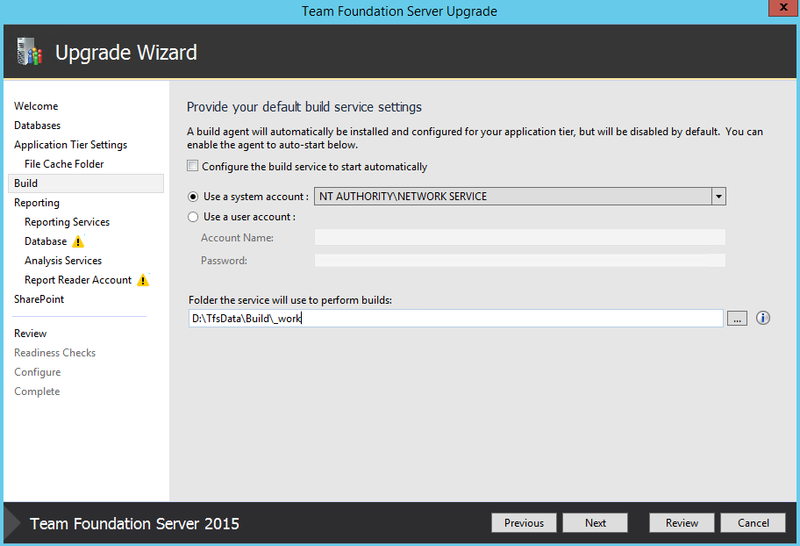 That’s the build I used today to upgrade from TFS 2010 SP1. 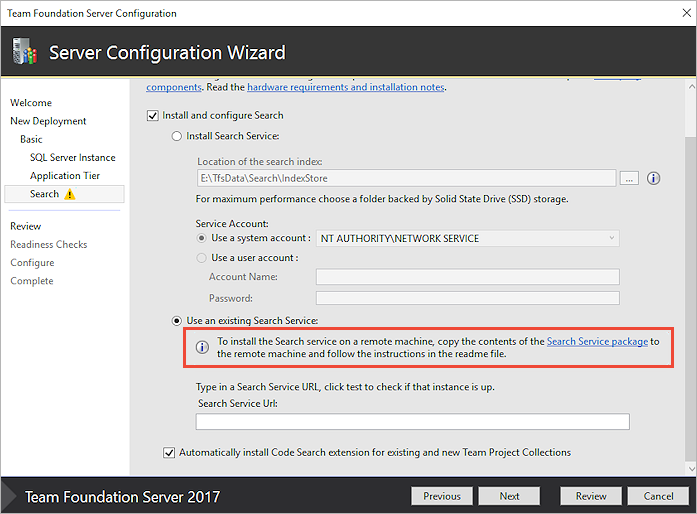 The official installation guide is not yet available, so here are some tips to get you started in the right direction … At the customer I got 2 new servers at my disposal with a clean Windows Server 2012 R2 OS. 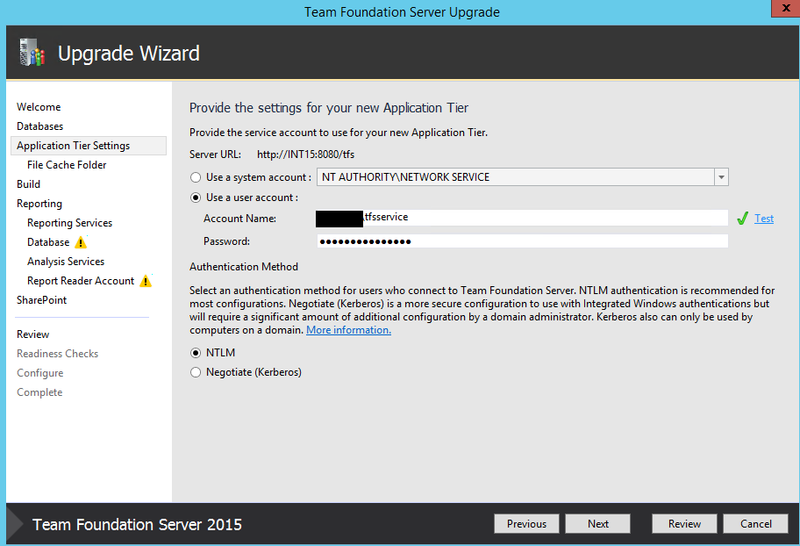 The first server is used for the TFS Application and TFS Data Tier (Single Server Topology). 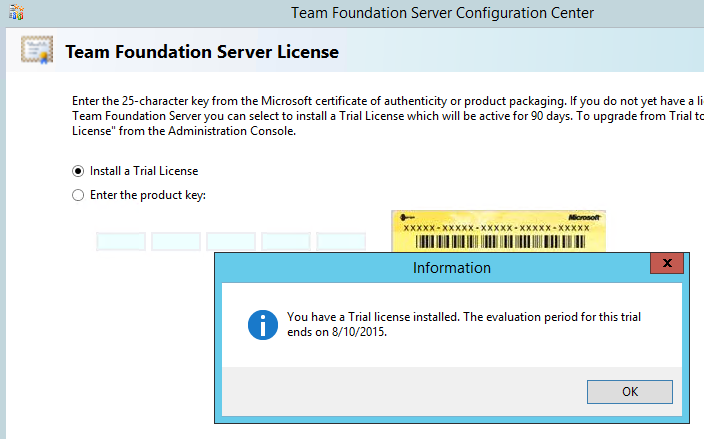 The second one will be used as the TFS Build Server. 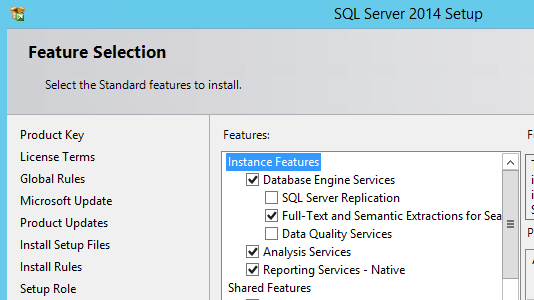 Before starting the installation of SQL Server 2014, I enabled the .NET 3.5 feature on Windows Server 2012 R2. 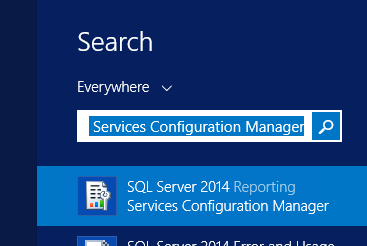 I always recommend to use dedicated domain service accounts for running SQL Server. 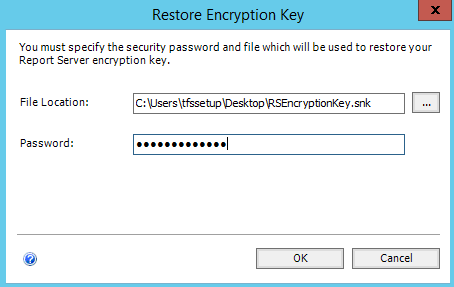 In this case I decided to reuse the <TFSSERVICE> account. Note that all services are set to start automatically. 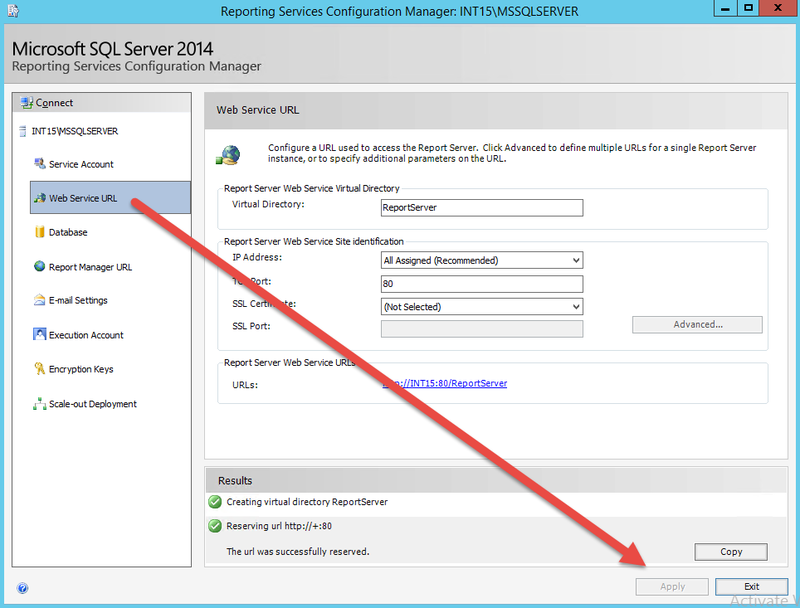 After successful installation of SQL Server 2014 I started the backup procedure on the old TFS 2010 environment and I copied all SQL .bak files to the new server for restoring all TFS related databases to the SQL Server 2014 instance. 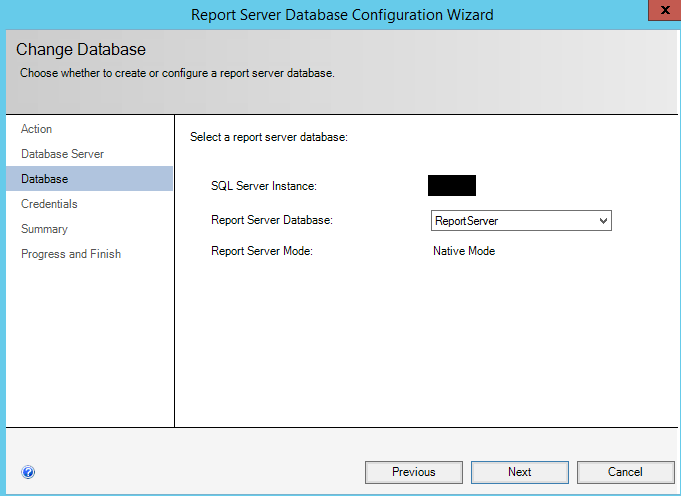 Link to the existing restored “ReportServer” SQL Server database. 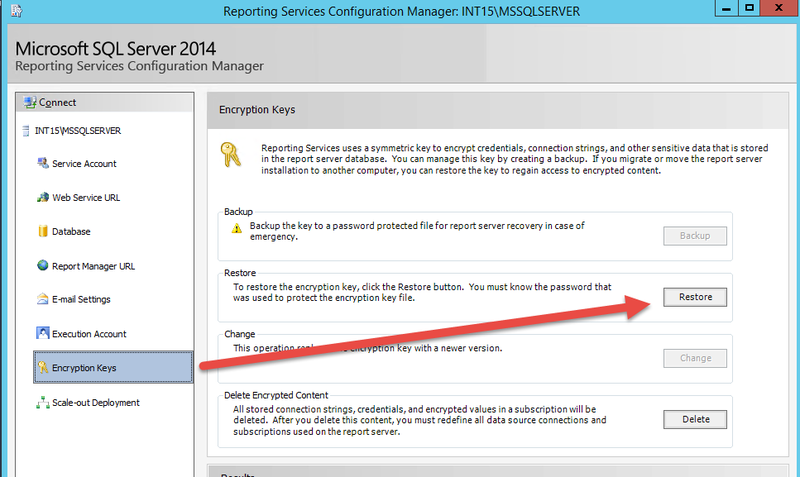 Restore the SQL Server Reporting Services Encryption key. 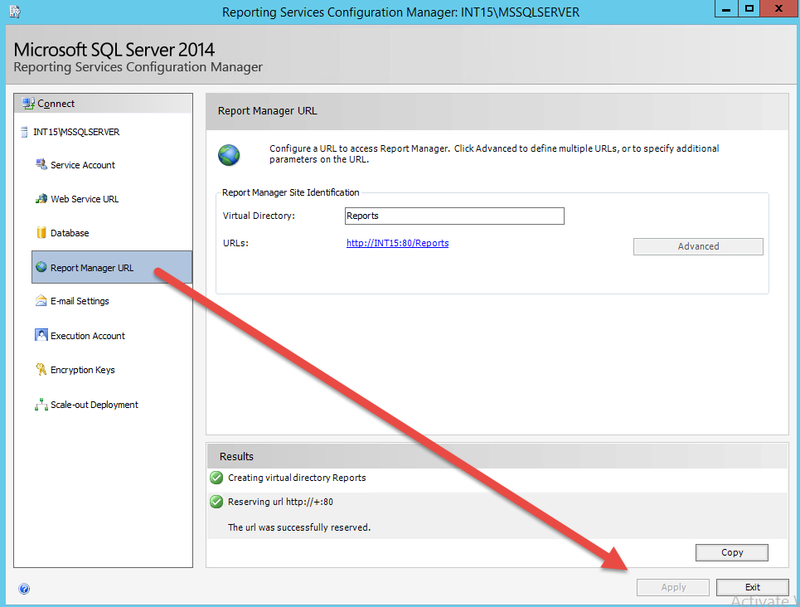 Run/Apply the web service and the report manager service. The trial license is valid for 90 days and can be extended for 30 days. At this moment, there are no product keys available for the RC2 release. Once the TFS 2015 RTM release becomes available, it’s only a minor upgrade to move to the official RTM bits. Interested in the release notes for TFS 2015? Check out the official news update, posted in April 2015. 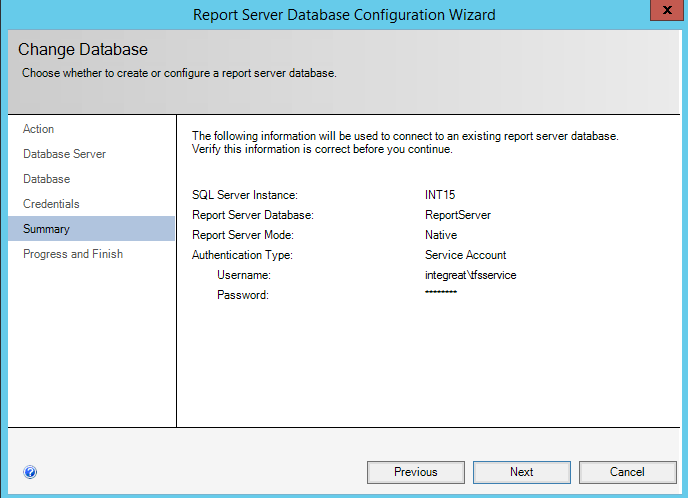 You are currently browsing the archives for the Installation & Configuration of TFS category.